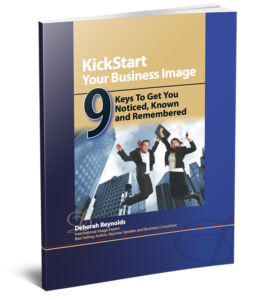 How Leadership Strategies Enhance Business Image | Deborah Reynolds | About Face Image Consulting, Inc. Many of us who are high achievers want to think of ourselves as great leaders. If we’re entrepreneurs, we’re innovators or creators. Some of us have a real knack for taking on challenges and inspiring others to follow along. They jump on our band wagon and some follow through and others don’t. And when we don’t follow through, we can end up biting off more than we can chew. To ensure we are leading effectively in an organization, we need to have followers and people we are willing to take the lead on several projects. Essentially, leadership is a collective effort. For major projects, there is usually a lot of detail and someone has to organize the flow and execution of tasks. If projects aren’t well organized and we fail to pay attention to the details, this can be one of the causes of failure. Failure in a project isn’t usually the factor which will destroy a company, but it can affect the image of a company if the success or failure of a project has enough impact on the organization as a whole. Organizing the details is a critical aspect of leadership. If you are leading the project, you don’t have to work out the details. You just have to be clear on the end result and bring people on board who can work out the details. I am a big believer that the leader should be first into the battlefield – first off the helicopter and last on the helicopter and everyone goes home. It sounds great in a military environment and when we research some of the best leaders in history, like Alexander the Great, that is how they displayed leadership. It’s a lot easier to follow someone who has been there, done that. They are truly leading by example and have earned their stripes. There is nothing worse than a figure head that hasn’t been in the trenches alongside the working class. If they are unwilling to do what others do, they will quickly lose respect. As a leader, seeing and experiencing how all aspects of a business operate is a great way to know for sure where the problems are stemming from. Being face to face with all levels of staff in a company is critical. Make sure everyone sees you and meets you. Take the time to get to know your staff and share how much you appreciate them being a part of the team. The best leaders embrace competition and know that competition is healthy for growth. The team is required to step up their game and be better at what they do, deliver better service, quality products and services and stay on the cutting edge. Society and communities also benefit by more attractive opportunities available and more choices. The very best leaders uphold the highest standards of character. One sure way to hurt a company and a team’s performance is to display a lack of character which can include lack of trust, disloyalty, a lack of commitment, a lack of integrity, lack of respect for the team and their knowledge, experience and abilities. A full commitment to the team is the very best example of great leadership and a great business image. It’s time to give your business the attention it needs to ensure it is positioned to generate the revenue and profits you deserve. Bring in the right leadership to help you run different departments or different projects and ensure there are checks and balances in place to protect your business reputation. Everyone needs to be accountable, including you. We know you want to create a great lasting impression! Lead displaying the highest standards and be an example to the entire team. Download my 32 page KickStart Report, and get access to my Maximum Impact Newsletter. How is Your Business Really Doing?